This e-bike impresses with innovative technology and does not have to hide from higher-priced competitors. The aluminium frame offers a perfect balance between low weight and high stiffness. In combination with a semi-integrated and easily removable down-tube rechargeable battery, the Bosch Active centre drive provides the desired support - and that at an extremely low weight. 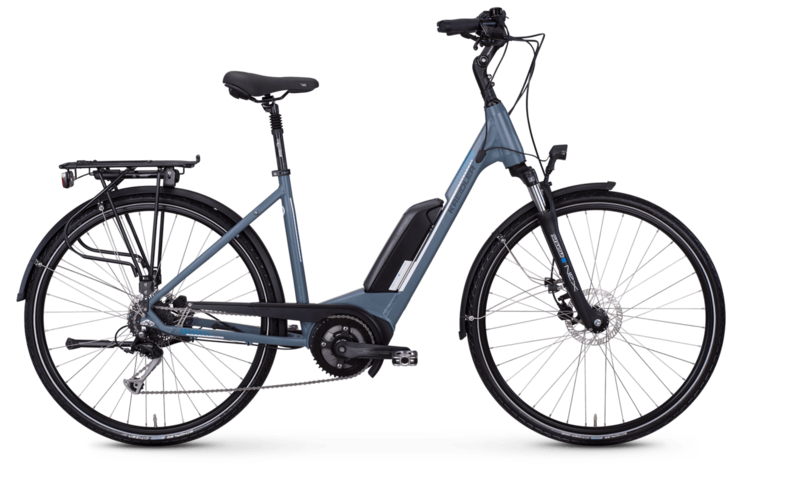 With the Kreidler Vitality Eco 2 you don't have to do without the ride comfort either: Equipped with Suntour suspension fork and suspension seat post, the e-bike easily absorbs smaller and larger bumps. And thanks to Shimano's Alivio 9-speed cassette, the chain moves as smoothly as it does precisely over the chainring.